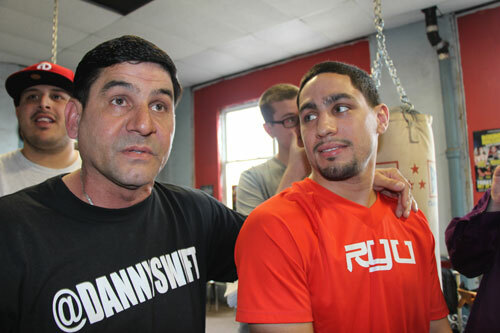 Jr. welterweight world champion, Danny "Swift" Garcia, 25-0, 16 KOs, held an open workout for the media on Thursday as he prepared for his upcoming title defense against former champion Zab Judah, 42-7, 29 KOs, scheduled for April 27th at the Barclay's Center in Brooklyn, NY. The fight was originally scheduled for February, but a rib injury forced Garcia to postpone the fight against the Brooklyn-born Judah. 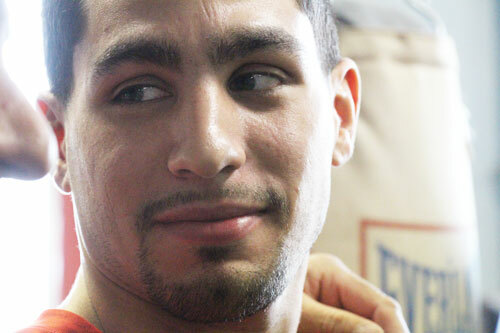 "I got hurt in sparring," Garcia said. It's a contact sport. It happens. It was my first injury ever in the professionals. I feel like there should be no questions. I'm the champion. Why would I back out of a championship fight? I don't have to explain myself. I know what happened. Me and my team made the right decision (in postponing), and the fight's around the corner. We're on a perfect schedule for April 27th." Garcia is taking the highly anticipated fight in stride, keeping his head down and his focus up for the well-seasoned southpaw who looked renewed in his last fight, a TKO of Vernon Paris one year ago. "I've fought tons of southpaws before," Garcia said. "I'm not really concerned about nothing (with Judah), because I know that I'm going to be in 110% shape, and I know that once I'm in great condition, nobody can beat me. He's fought a lot of high level fights. You can't take that away from him. He's been in big fights before. He was young like me before. So he's been here, and you got to respect that." However, Garcia, who turned 25 about two weeks ago, is looking to post another impressive victory and keep his championship train on the tracks. "I feel that I'm hungrier now than ever, because everybody wants what I got. So I got to be on my "A" game. You got to think like a champion. You got to act like a champion. Everything you do, you got to walk like a champion. So I wear champion on my sleeve because it motivates me, it makes me train harder, and I know everybody wants what I got. So it keeps me on my "A" game. I feel like I have to keep proving myself, and showing the world that I am the best 140-pound fighter." Garcia is coming off two big fourth round knockouts (of Amir Khan and Erik Morales), and would like to add Judah to that streak. 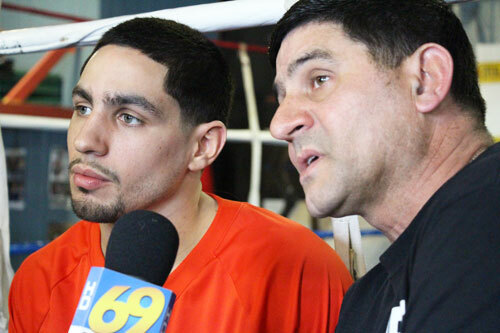 "I'm going to go with four," Garcia said when asked to predict when the fight would end. "That's been my number. I went four in my last two fights. So I'm going to stay with the hot number four."